Innovative end-to-end supply chain software from ASC connects the dots in your distribution and manufacturing operation for 100% perfect orders from start to success. Your mission is critical and we realize that. That’s why we don’t take what you do lightly. From order entry, procurement, manufacturing, distribution, shipping, and all the way through delivery to your end customer, we give you real solutions to your toughest supply chain challenges. The result? Nothing short of perfection. We know your customers’ needs have become complex. We know they require more features, more automation, and better adaptability. With our experience, we can help you meet those requirements using the "best-in-class" ASCTrac® suite of supply chain software solutions. Why choose supply chain software from ASC? ASC has been successfully solving complex supply chain challenges by helping businesses innovate and execute successful supply chain operations for over 29 years. No other supply-chain systems provider has over 29 years of successful supply-chain deployments. Our real-world field experience in solving complex supply chain challenges is essential to the success of your business. and manufacturing software with proven next-generation automation processes for a wide variety of industries. We solve complex supply chain challenges for some of the world’s largest companies: the largest food company, the largest dairy producer, the largest 3PL, the largest pharmaceutical distributor, and others. We help you cut operating costs: ASCTrac® WMS is very affordable and was designed as a state-of-the-art “best-in-class” distribution and manufacturing solution that pays for itself in months. Our customers utilize ASCTrac® as their competitive advantage - independent research has shown that ASCTrac® WMS has the lowest total cost of ownership (TCO) with the best return on investment (ROI). 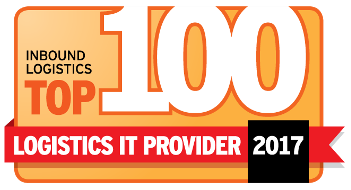 As a "Best-of-Breed" WMS, ASC has been honored to receive awards such as "Top 100 IT Solution Providers" in the world (again in 2018), "Best-in-Class Design for Wireless Infrastructure," and the "Microsoft® Pinnacle Award" for our dedication to innovative solutions, unparalleled customer support, and top-notch customer service. ASC has also been honored with "Top 10 Warehouse Management Solution Providers of 2018," and ASC has also received an award for being in Top 5 of all WMS software companies for "Most Useful BLOGS for the Supply Chain." ASCTrac® is a Complete Supply Chain Solution: To ensure that you can fully orchestrate every point in your supply chain, the modular ASCTrac® system can provide a complete solution to connect every portion of your supply chain, and you can choose which modules you need. ASCTrac® can be a Complementary Supply Chain Module: The ASCTrac® system can provide a modular and complimentary solution to connect to your existing ERP system. When your ERP cannot handle all of your supply chain challenges, choose the right combination for solving those complex needs. You Need Real Time Information: You cannot manage what you cannot see - to ensure that you are fully connected to your supply chain in real time, the ASCTrac® system can provide visibility to your entire supply chain - true management in a proactive and predictive mode. Trusted data: All processes and movements of goods are double-checked and verified at the point of activity. Everything is tracked and audited with pharmaceutical grade precision. Real Time, 100% accurate data that is trusted. In addition to the awards mentioned above, ASC has been honored by Logistics Technology Outlook as "Top 10 Warehouse Management Solution Providers of 2018," and chosen for the front cover of the special publication due to ASC's innovations. FROM LOGISTICS TECH OUTLOOK: "In order to help the C-suite zero in on the apt WMS solution, a distinguished panel comprising CIOs, CEOs, CTOs, analysts, and Logistics Tech Outlook's editorial board has evaluated companies that provide immense value to clients in the WMS arena." If you rely on a BIG ERP to solve complex inventory challenges, you may be disappointed to discover that it does not properly handle all of your department’s complex inventory movements. In fact, you may be relying on Excel spread sheets to run your supply chain by owning BIG ERP. Why? It’s because BIG ERPs were designed primarily as financial systems and not as supply chain systems. For intense supply chain needs, most big ERPs’ cannot handle complex operations such as interleaved complex inbound logic, multi-drop inbound logic, flexible sequenced priorities, dynamic wire guided vehicle directives, or other complex supply chain logic that must work 100% efficiently with manufacturing or in the mission-critical warehouse. This is where we can help you with experienced and flexible “best-of-breed” off-the-shelf supply chain solutions that can do what you need. We can provide the experience and the solution for solving those complex needs with connected ERP interfaces to securely and accurately exchange information. Give us the tough stuff, your ERP handles the financials. ASC has been honored by Manufacturing Today magazine as "PROBLEM SOLVERS" for our manufacturing solutions, and chosen to be part of the special publication due to ASC's proven record of solving supply chain manufacturing challenges. "ASC DELIVERS INNOVATIVE, MISSION-CRITICAL SUPPLY CHAIN SOLUTIONS." by Staci Davidson, Manufacturing Today magazine."